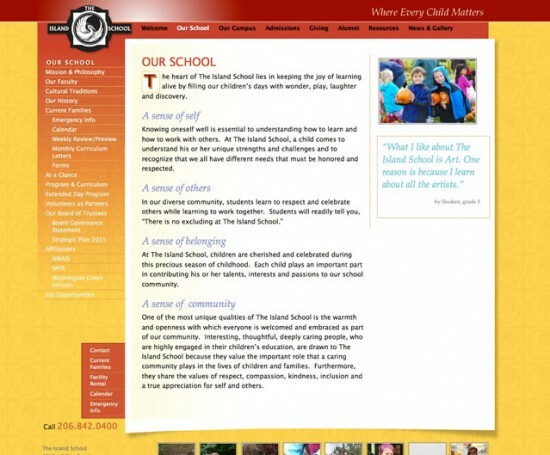 The Island School is a kindergarten through 5th grade school on Bainbridge Island, Washington. It features small class sizes, individualized instruction, and devoted teachers. 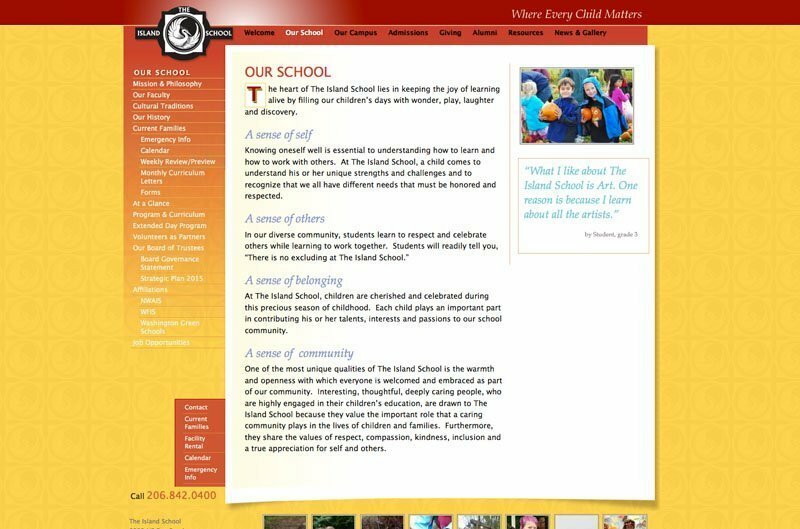 Design and build a site that expresses the creative spirit and exuberant learning that the Island School offers its students. 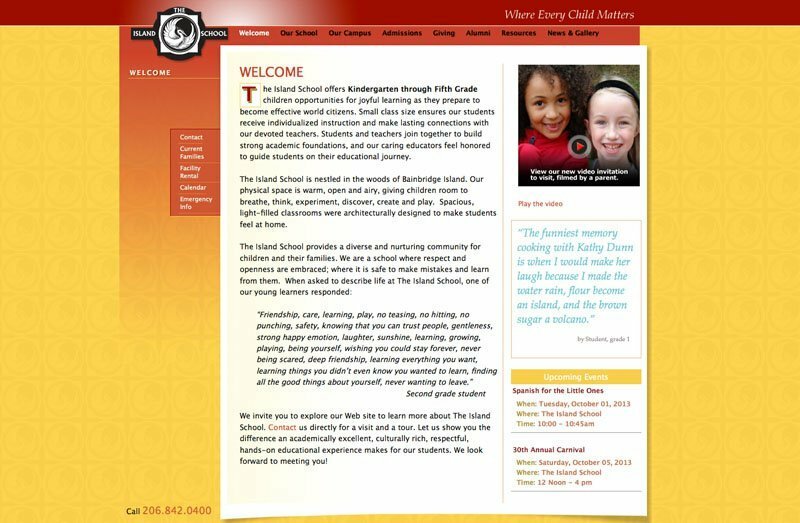 It would be a recruitment tool and a portal for the community, with private pages for parents and students. It needed to be easily maintained. We chose dramatic warm colors balanced by softer accents. On each page, the faces of students were featured, accompanied by testimonials of the students and their parents. Custom edit pages were developed for events to keep them consistent and easy to update. A navigation system to accommodate the depth of content was built.